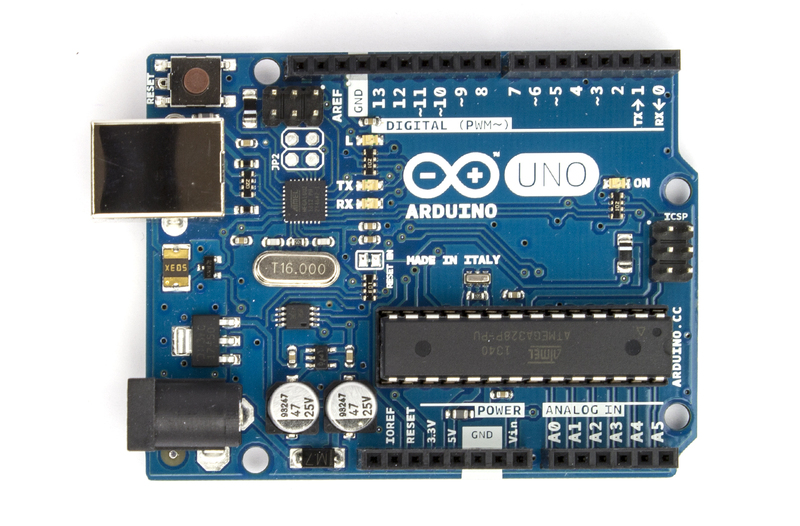 Arduino is an open-source electronics platform that can acknowledge and interact with its environment through a variety of sensor types. It's great for hardware prototyping and one-off projects. I just got an Arduino Board from our friends at SendGrid, who also gave me a little tutorial in the art of Arduino hacking. Inspired by the tutorial and armed with this new board, I bought a passive infared (PIR) motion sensor from my local Radio Shack. Now I was ready to play; in particular, I wanted to be able to collect that continuous stream of hardware sensor data into a MongoDB database for logging, trend analysis, system event correlation, etc. To this end, I created the demo project "mongodb-motion", which I've made public on Github. In the "mongodb-motion" Github repo, you will find an Arudino project that writes motion sensor data to a cloud MongoDB database at MongoLab and sends alerts via email based on certain criteria. I built this demo using Node.js and the MongoLab REST API. Below, I'll go through exactly what hardware you need to make your own "mongodb-motion" project a success, and how the code actually works. The hardware used in this demo includes: an Arduino UNO R3 and a Parallax PIR motion sensor. You can use a variety of motion sensors with the Arduino. In this particular experiment, I used a PIR motion sensor. The PIR motion sensor behaves like a switch, with 'down' events emitted on motion detection and 'up' events a few seconds after motion ceases to be detected. On the receiving side, I used JohnnyFive, an appropriately named Node.js package that accepts sensor events and sends messages to the Arduino board. With the two ends set, I'll move on to the project's configuration file. In this demo, I've included a configuration file, config-sample.js, where credentials for the MongoLab REST API and for the email SMTP server can be added. In my case, I used the SendGrid SMTP service. The configuration file also has two callbacks that determine when an email is emitted, one for each type of event - "detect" and "ceased". I've used this feature to automatically send an email alert if an event timestamp is between 7:00pm and 8:00am, ostensibly when my office should be motionless... I'm out there watching you, office! Once you've customized this config-sample.js file, be sure to rename it to config.js in order for it to be usable. If you inspect the project code, you'll notice that the MongoLab REST API is called in the logMsg() function, using an https.request. Building this little demo has given me some new ideas for hardware hacking the cloud. I hope you give it a try too.